Oddly, Vogue Japan tends to shy away from Japanese cover subjects (the last time someone Japanese fronted the magazine was September of last year). 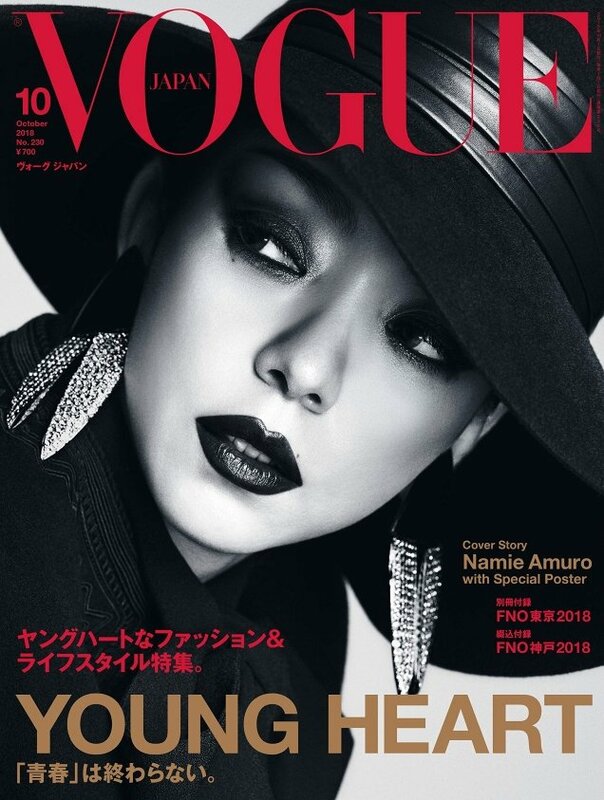 After a less than impressive September cover with Hailey Baldwin last month, the publication certainly had a whole lot of making up to do — and does just that with October 2018’s cover girl, Namie Amuro. The 40-year-old Japanese self-producing recording artist receives the full Vogue treatment by regulars Luigi & Iango in the strong, stylized and stunning black and white cover image. Our forum members were captivated by the outcome. “Always refreshing to see Japanese fashion magazines honor their local stars, and putting it in B&W makes it extra collectible,” magsaddict raved the second the cover struck. “Finally, a Japanese woman on the cover of Vogue Japan!” said gbam. “This is beautiful! One of the best Vogue Japan covers ever. I love how they made it look different than their usual covers. Makes it more special,” agreed MON. “Quite a beautiful cover!” wrote mikel. “No idea who she is, but this is gorgeous,” Miss Dalloway confessed. “I agree, this must be the most beautiful Vogue Japan cover I’ve ever seen, although I have no idea who she is. The cropping, the angle, the b/w, the hat, her gaze, the minimal cover lines – everything works perfectly together!” complimented forum member June. “And October is the September for Vogue Japan,” said caioherrero. TeeVanity was a fan too, commenting, “This cover is absolutely stunning,” and we couldn’t agree more. Do you agree? Check out some previews and join the conversation here.